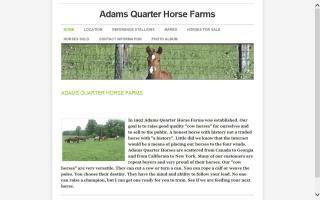 Quarter Horse Breeders and Quarter Horse Farms Directory - O Horse! Breeding outstanding Hancock and Blue Valentine Quarter Horses with blue roan, black, and gray offspring for sale yearly. Jeff, Carol, and Whitney Anderson.